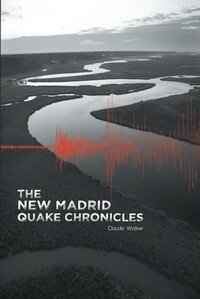 The New Madrid Quake Chronicles came out in December 2011, to coincide with the 200th anniversary of the biggest earthquake to rock the continent. Epicentered under southeast Missouri, the New Madrid Earthquake forced rivers to run backward, and created gaseous crevasses that swallowed people and livestock. The New Madrid Quake Chronicles tells the story of German exile Blas Baur and Shawnee leader Blue Turtle whose families survive the 1811-12 disaster, and how natural forces shape their fates. Spanning 250 years, the nine-generation saga is also a tale of Native American relocation, European immigration and the confluence of two families. Part historical fiction, disaster chronicle, military history and family saga with a sci-fi twist, The New Madrid Quake Chronicles is a parable showing how every family tree has been struck by disaster at some point. Written prior to the disaster in Japan, it's also a cautionary tale for residents of earthquake zones.